Below are some pictures for ideas for cushions along with actual work carried out for customers. Thank you to all our customers for giving their permission to use these images. 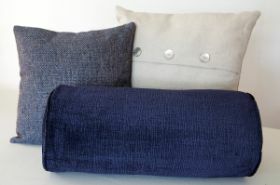 Selection of cushion styles, shapes and fabric. Hand-sewn crescent tie back with bead detail. 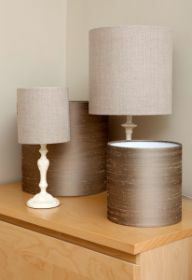 Hand-make linen and silk lampshapes made to measure. 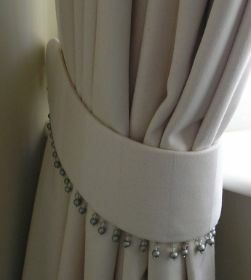 Can be made to match curtains or blinds. 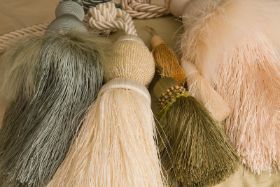 Tie-backs and tassels available in a large range of colours and styles.